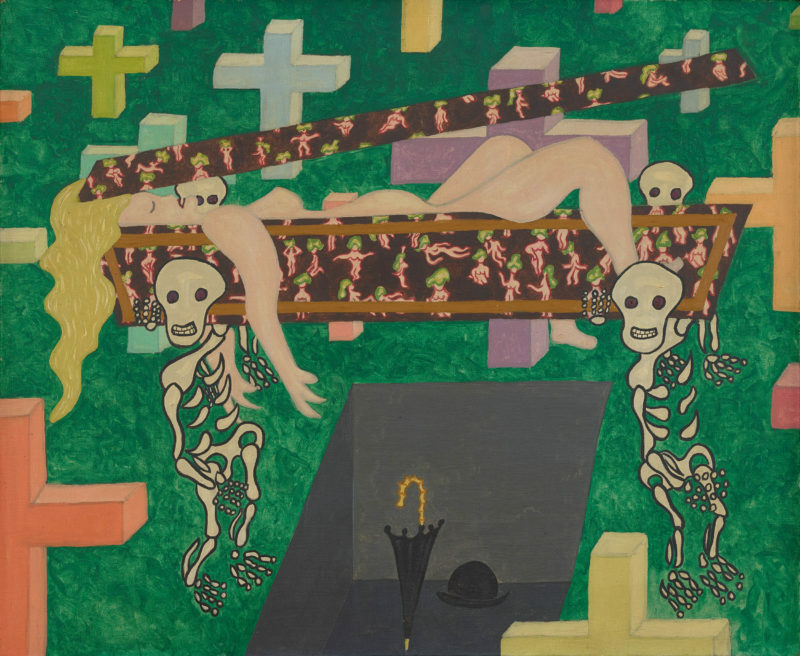 William N. Copley, The Coffin They Carry You Off In, 1957. Oil on canvas. Courtesy Galerie Klaus Gerrit Friese, Berlin. © William N. Copley Estate / Artists Rights Society (ARS), New York. Photo: Eric Tschernow, Berlin. An autodidact, William Nelson Copley (b. 1919, New York; d. 1996 Sugar Loaf Key, Florida) came to painting following and alongside his famed work as a gallerist and collector of Surrealist works. A crucial connecting figure between Surrealism and Pop art, Copley developed a unique style and iconography that made use of cartoonlike motifs—reduced, simple figures depicted with thick black brushstrokes and flat coloring, most often men in bowler hats and female nudes—to critically and humorously explore topics including nationalism, eroticism, and art history. 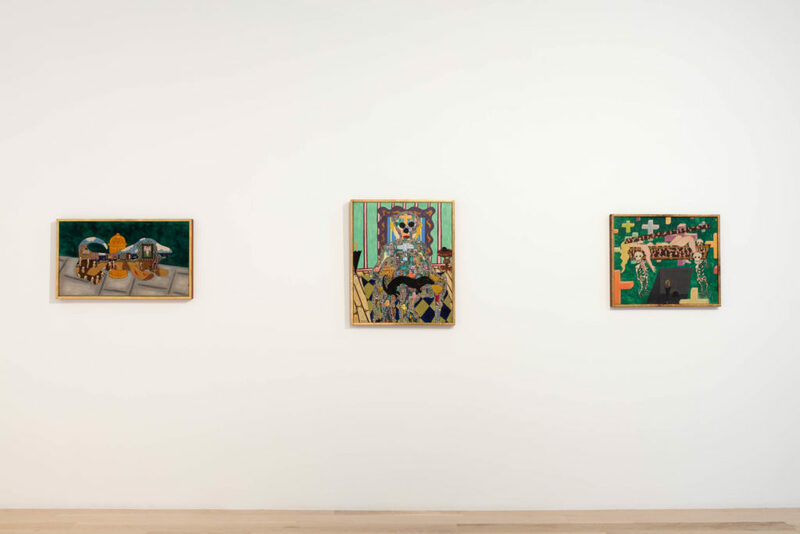 “William N. Copley: The Coffin They Carry You Off In” gathers works from the artist’s first exhibition in New York, “Paintings by William Copley” (Alexander Iolas Gallery, 1958), as well as examples of his earliest work. 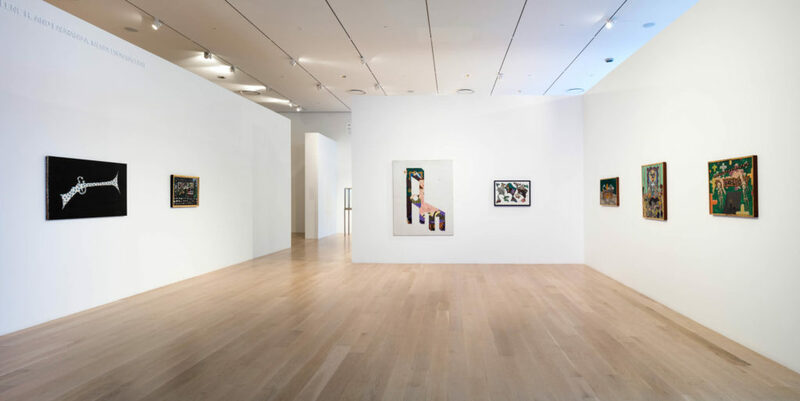 Revelatory paintings such as Birdshot (1958) from ICA Miami’s permanent collection and the eponymous The Coffin They Carry You Off In (1957) introduce Copley’s distinct style: cutout and silhouetted paintings in bold colors that demonstrate his interests in history, art history, and the expatriate experience of France. Motifs include the guillotine, Édouard Manet’s 1863 painting Le Déjeuner sur l’herbe (The Luncheon on the Grass) , and the Dachshund , in styles that meld French Surrealism and American Pop art. 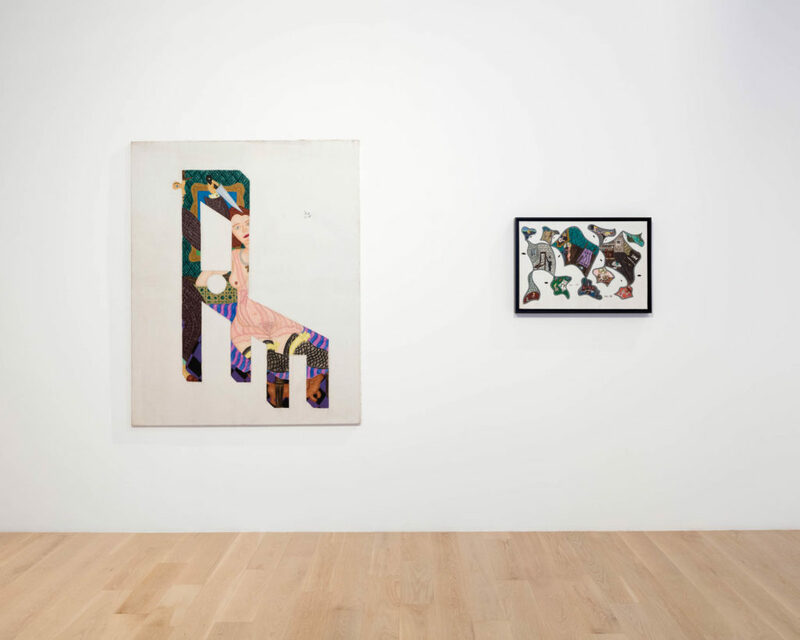 This exhibition is organized by ICA Miami and curated by Stephanie Seidel, Associate Curator. 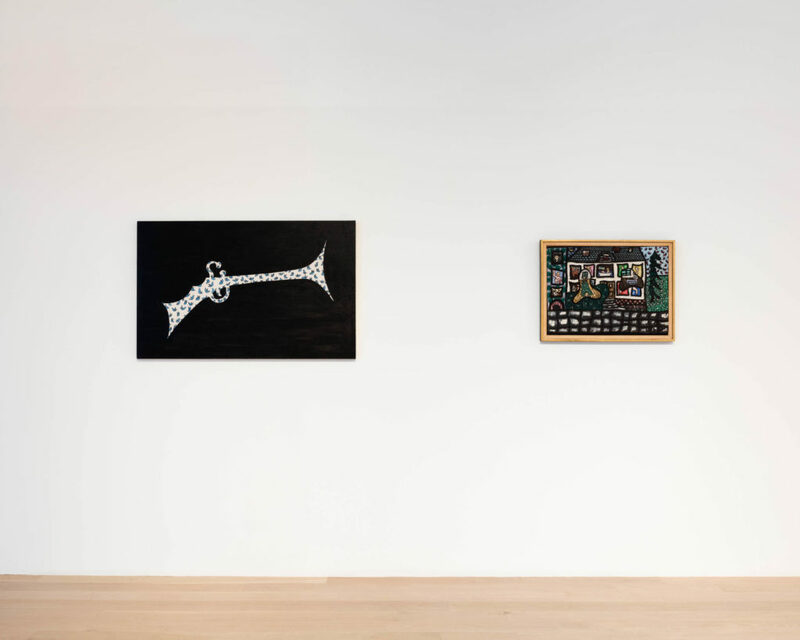 Exhibitions at ICA Miami are funded through the Knight Contemporary Art Fund at The Miami Foundation. 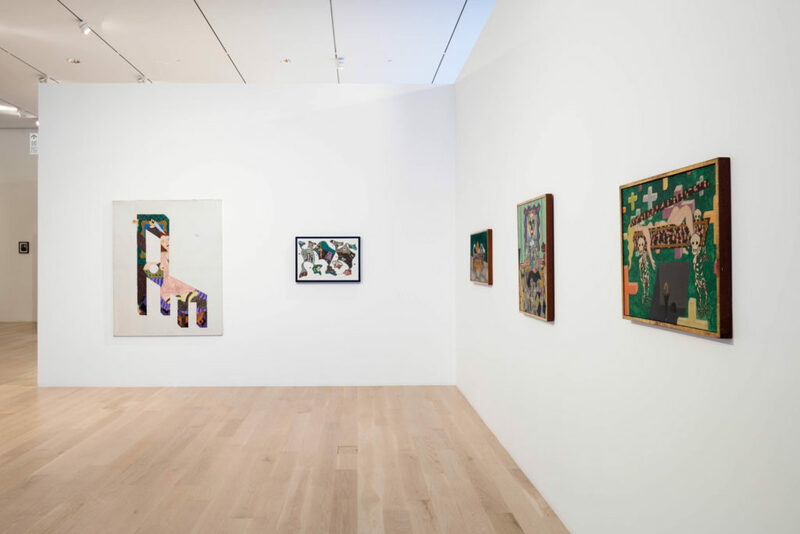 Installation view: "William N. Copley: The Coffin They Carry You Off In" at Institute of Contemporary Art, Miami. Dec 4, 2018 – May 12, 2019. Photo: Fredrik Nilsen Studio.